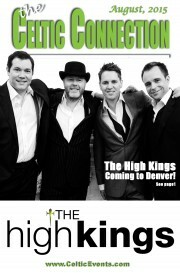 Famous Irish Quartet “The HIGH KINGS” Denver Bound! Tickets on sale now at www.SoiledDove.com or call 303-830-9214. For centuries, Ireland was ruled by High Kings. As their reign came to an end, their deeds and stories merged into the world of legend and myth and the High Kings of Ireland were no more except in story, music and song. Until now. Finbarr Clancy, Brian Dunphy, Martin Furey and Darren Holden, renowned vocalists and musicians, have come together to create the most exciting Irish ballad group to emerge since The Clancy Brothers and Tommy Makem electrified the worldwide folk revival of the 1960s. 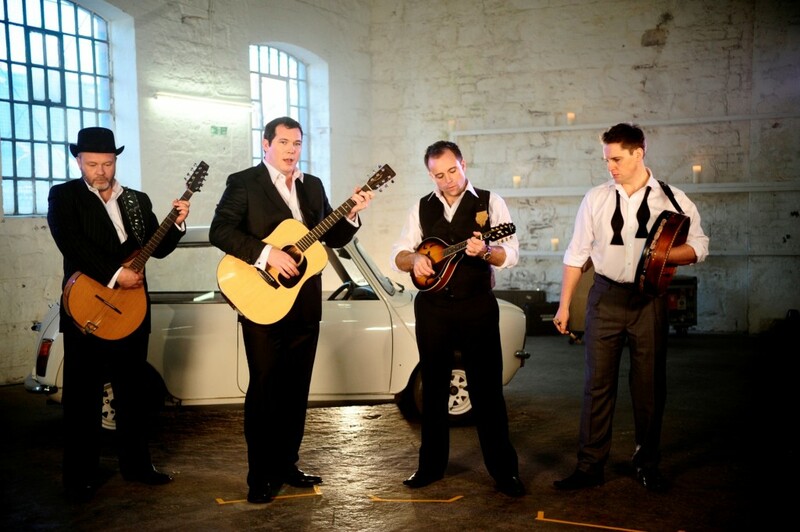 The High Kings are an Irish folk group formed in Dublin in 2008 by Celtic Woman manager Dave Kavanagh. By February 2014, the group had released three studio albums, one live album, and one DVD. All of their studio albums appeared at number three or higher on the Billboard world music chart and achieved platinum status in Ireland. Coming from accomplished Musical pedigrees, The High Kings grew up in households soaked in the Irish Musical tradition and each member of the band witnessed firsthand the power of well-crafted Irish music on an audience. Taking some of the classic ballad repertoire from the past and mixing those songs with new and exciting modern songs in the folk idiom, The High Kings are embarking to become the hottest folk and ballad act of the new millennium. Since The High Kings started, they have sold out hundreds of shows, in Ireland and the US and have made numerous TV appearances. “This was our 4th time to see The High Kings and as usual they didn’t disappoint. They always put on an amazing show and have the crowd singing along. Well worth seeing again and again. To be added to Celtic Events/gigs list email CelticEvents@rmi.net For Facebook updates please like us at www.facebook.com/celtic.rockies . The Denver Business Journal (DBJ) recently published an issue spotlighting “2015 Top Women in Energy” which included Susan Morrice, Chairman and co-founder of Belize Natural Energy (BNE). Based in Denver via Belfast, Susan and her team discovered oil over a decade ago in a place that had been probed by many other major energy companies with no success. The oil that Susan and friends found in Belize was some of the purest grade oil in the world. Now BNE is the largest employer in Belize, with 99% of employees being local Belizeans. 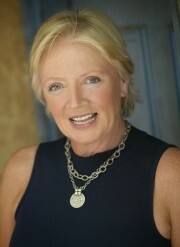 Susan also is an originating investor and Director with XJet Worldwide, a Denver/Dubai /London based private jet company. Periodically ,Susan and friends gather in the Denver metro to discuss EDUCO principals and the successes they have seen when applied to their businesses and personal lives. If you would like to attended an upcoming meeting contact Amanda at: akendrick@chxglobal.com. The Colorado Rapids sold homegrown talent Shane O’Neill on August 1st to Apollon Limassol of Cyprus. At the end of August he officially joined Jupiler Pro League side Royal Mouscron-Péruwelz based in Belgium. The United States Under-23 international, currently in Manchester to prepare for Thursday’s friendly against England in nearby Preston, quickly jetted into Belgium on Sunday to sign a two-year contract. O’Neill did not make an appearance for Cypriot bronze medalists Limassol. The 21-year-old defender/midfielder born in Ireland and raised in Boulder, Colorado, has played for the U.S. under-20s and -23s, made 25 starts in 2013 and 21 last year. O’Neill remains a crucial part of the US Under-23 team, currently looking to qualify for next summer’s Olympics. He will train with the team in Manchester, England, from Aug. 30-Sept. 8 and will feature friendlies against England on Sept. 3 at Deepdale Stadium in Preston, and Qatar on Sept. 8 at Gigg Lane in Bury. Tickets are $10 in advance, $12 at the door. This is a 16 and over show. The Stubby Shillelaghs are at Jack Quinn’s in Colorado Springs at 9 PM on the 1st, Scruffy Murphy’s in Lodo at 10 PM on the 7th and at the Big Beaver Brewing Co. in Loveland at 7 PM on the 29th. In other band news, The Stubbies are taking 6 weeks off from their usual Stubby Tuesdays to hit song writing and practicing hard as they are entering the studio to record their fourth studio album, an all nerd and geek-centric album titled Critical Fail, the week of August 23rd. The Stubbies will be yet again working with Silas at the Decibel Garden in Denver. Stubby Tuesdays will resume September 1 at 9pm. The Mountain Road Ceili Band is continuing its 20th year at The Margarita at Pine Creek on August 21 at 6:00 outdoors on the patio bar. Chancer’s Hooley plays on the 7th in the Summit house at Keystone Resort at 4 PM and on the 29th are on stage at the 38 State Brewing Company in Littleton at 7 PM. Avourneen does their usual Friday night gig at Katie Mullen’s on the 16th St. Mall at 9 PM and play at The Abbey on East Colfax at 8 PM on the 22nd. The lovely and talented Kevin Dooley plays at noon on the 2nd at the Georgia Boys BBQ in Longmont for their Songwriter Series Longmont. He follows that with a show on the 14th from 8-10 PM at The Roost on Main Street in Longmont accompanied by his mates Eric Drobny and Steve Mullins. On the 19th, he’s joined by Eric for a performance for the Haystack Mountain Golf Course Summer Series in Boulder from 6-8 PM, does a solo show on the 21st for the Niwot Market Friday Dinner series from 6-8 PM and then closes out the month with the trio on the 29th at the Left Hand Brewing Company in Longmont from 5-7:30 PM. The Indulgers head west for the Colorado Scottish Festival on the 1st and 2nd at the new festival venue at the Town Park in Snowmass Village then return to their home ground of Boulder for a show at Conor O’Neill’s on the 14th at 10 PM and play at the Wine Experience Café and World Cellar Restaurant in Aurora for their early Octoberfest celebration on the 29th. The Western United States Pipe Band Association (WUSPBA) will hold its Annual General Meeting at Clancy’s Irish Pub in Wheat Ridge, 7000 W. 38th Ave., on the 15th beginning at 9:30 AM or thereabouts after all bands have competed. Admission to the AGM is free and there will be free breakfast burritos too. Competition will begin at 7 AM (when the bar will also open…) and there will be a viewing party at 2:30 PM of the World Pipe Band Championships. There will be a $5 cover charge for the viewing party. For more information, call John Moruzzi at 720.933.6750. And speaking of Clancy’s, Lougheed is back on the patio there from 9-noon on the 15th as well. Fun times at Clancy’s (and in Wheat Ridge – it’s the Annual Carnation Festival Parade down 38th Avenue) that day! What the heck – we’re on a roll with Clancy’s so why not close this month’s column with the schedule for the most famous Denver Clancy of all, the peripatetic Brian. As is usually the case, you can see and hear him at the Jack Quinn Irish Alehouse and Pub in Downtown Colorado Springs on the 6th, 13th, 20th and 27th at 7:30 PM and at The Irish Snug on East Colfax/Capitol Hill in Denver at 8:30 PM on the 8th, 15th, 22nd and 29th. 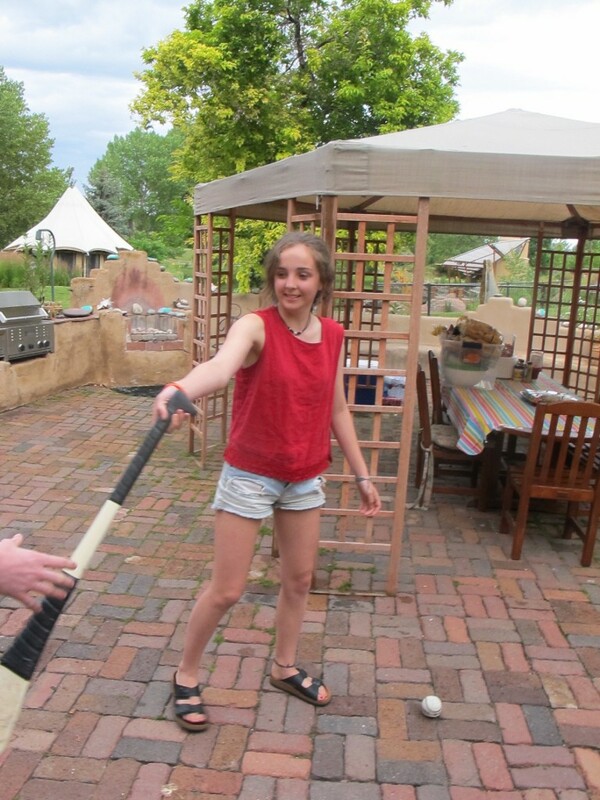 Although she claims to be much better at GAA football,l Rosa Carragher of the Belfast Youth Circus (BYC), took time to show some moves with the hurly while in Denver last month. Jennifer Dempsey is a remarkably talented lady who once performed with the Belfast Circus and returned to Colorado where she founded the Salida Circus (http://www.thesalidacircus.com/index.html) in 2007. Since then, with the help of the Salida Circus Outreach Foundation, a 501(c)(3) non-profit corporation, and donations from many people and organizations across the world, the Salida Circus has performed in Colorado, New Mexico, California and elsewhere in the west. The adult performers work with members of the Salida Boys and Girls Club and teach them the “Twelve Circus Skills” (https://en.wikipedia.org/wiki/Category:Circus_skills ) along with life skills. One of the highlights of the year for each class of youth performers is a visit from young adult/teen (ages14-19) members of the Belfast Circus who spend two weeks performing with and training the kids in the Salida Circus. The Belfast group stays with host families in Salida and is able to get away into the cool fresh air of the mountains. A highlight of their visit to Colorado is a performance for the residents of the Hope Communities and Mercy Housing projects in east Denver on the border with Aurora. On what was once a vacant lot decorated with weeds, broken glass and discarded needles next to Mercy Housing’s Grace Apartments where boys once played soccer barefooted, members of the staff of Mercy Housing spearheaded an effort to create a park. Now called New Freedom Park it is maintained by the City and County of Denver and is next to a community garden space. There, the Astroturf-covered park with its concrete-walled border provides a safe open space for the residents of Mercy’s Grace Apartments and Hope Communities’ Hidden Brook Apartments and other children in the neighborhood to gather and play. On July 13th, the day before the kids from Belfast returned home, the park provided the venue for a one-ring circus sponsored by Hope and Mercy, with a ring-master, clown, magician, juggling, floor acrobatics, fabric performance, low trapeze, balloon animals and much, much more. The multi-cultural cast from Northern Ireland and Western Colorado wowed the even more diverse audience of adults and children from Southeast Asia and East Africa with their acts and then after the show, worked with the children in the audience to teach them a few tricks and routines. That evening, all were treated to a barbecue and party coordinated by Mary Ryan at the lovely home of Susan Morice where all the performers got to be kids and swam in the pool, paddled around the pond and sang for each other. The Belfast kids received bright green souvenir tee shirts courtesy of the Colorado Irish Festival and the Colorado kids were presented with Boulder author/photographer Tom Quinn Kumpf’s brilliant book of pictures and stories “Ireland – Standing Stones to Stormont” courtesy of Mary, and Susan gave everyone a copy of “The Magic in You” by Emma Maree. On July 20th, the remarkable 45 year political career of Dennis Gallagher came to a close with the swearing in of the new Denver City Auditor, Tim O’Brien. Dennis was born in Tabernash, Colorado to Ellen Flaherty Gallagher and Bill Gallagher, a home maker and Denver firefighter respectively, with deep roots in County Sligo. He attended public schools in Denver, received a Bachelor of Arts degree in English Literature with a minor in Latin and Greek from Regis College and a Master of Arts degree in Speech and Communications from Catholic University in Washington, D. C. Since 1967, he has been a professor of Speech, Latin, Greek and Media at Regis University. He served two terms in the Colorado House, five in the Colorado Senate and two on the Denver City Council and was Denver City Auditor for 12 years. On July 21st, at a dinner/party/roast attended by nearly 300 of his closest friends, Dennis was honored and roasted and toasted in a manner befitting himself and that career. With a Host Committee of Colorado luminaries that included Governor John W. Hickenlooper, former University of Denver Chancellor Daniel Richie, former Regis University President Father Michael Sheeran, S.J. and many, many more, the roasting and tribute delivery was done by Governor Hickenlooper, Westword Editor Patty Calhoun, Denver District Attorney Mitch Morrisey, Father Sheeran, Colorado State Speaker of the House Dickey Lee Hullinghorst and legendary lobbyist Pueblo Wally Stealey and old friend Gary Salley. Dr. Tom introduced Father Michael Sheeran by reminding the audience of Dennis’ long relationship with Regis College/University and his annual trips to Ireland where he taught students how to drink beer. Father Sheeran delivered a video tribute in which he addressed Dennis as “Senator Gallahad” for the way he attacked problems. He spoke lovingly of having accompanied Dennis and the students on a trip to Ireland and how he stood at the front of the bus at each stop and “…explained the history and astrological significance of the site and quoted Yeats in addition and sometimes even did it accurately.” Fr. Sheeran went on to describe how Dennis would move from table to table in the restaurants where they would stop for meals, engaging with total strangers, giving them his card and telling them to call him if they ever came to Denver. With a twinkle in his eye, Fr. Sheeran said that he “Watched very carefully, and never once did he see Dennis hand out a form requesting an absentee ballot”. District Attorney Mitch Morrisey followed with what could have been a good stand-up comedy routine on open night mike at a comedy club. He opened with the comment that he’ll probably never be able to forget Dennis, “…although he hopes that the therapy will help someday”. He then asked if people knew the difference between Dennis and God: when no one answered, he explained that “While Dennis walks around Denver thinking he’s God, God doesn’t wander around Denver thinking he’s Dennis”. The DA then spoke about parking in the Webb Building next to Dennis and said that “…while Dennis loves running into people around town, from the looks of his car, people love running into him too. Not that he’s a dangerous driver: he drives so slowly that if he hits anything, he’s not going fast enough to hurt anyone. And with Dennis, you’ll never get a hit and run accident – instead you get a hit and amble away. Can anyone in this room imagine Dennis running?” He went on to dispel rumors about Dennis including one that “Dennis does such a good job on tours of cemeteries around town because he knew everyone who’s buried there” and another that he “Survived the sinking of the Titanic with Molly Brown. In fact, an iceberg is about the only thing he hasn’t hit with his car.” He closed with the observation that many people leave their jobs because of illness when their bosses get sick of them and that for Dennis that has never been the case: “Dennis, you have always worked for the people and we’re really going to miss you”.